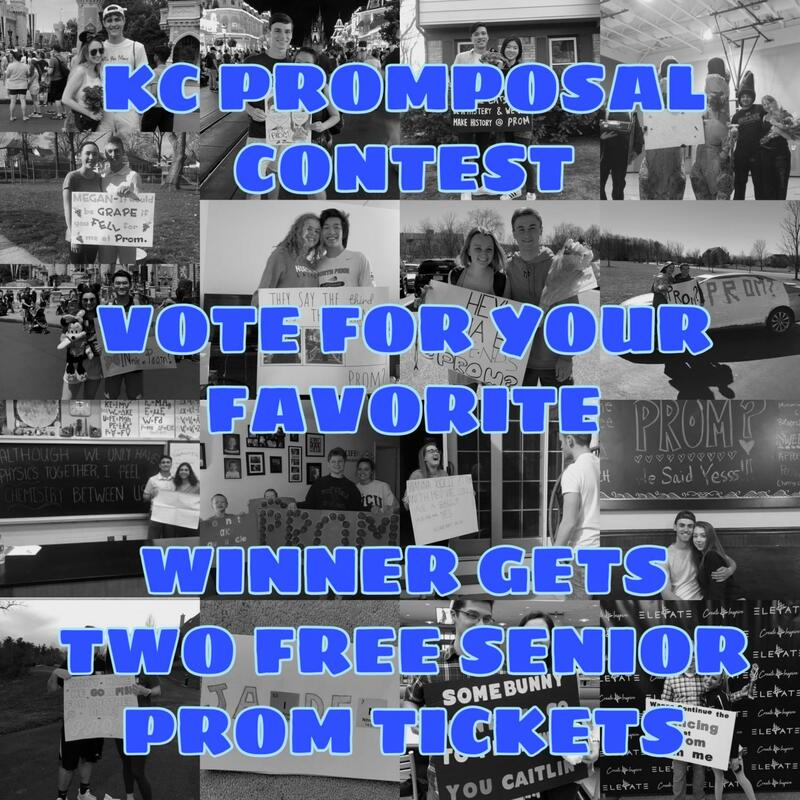 After reading through all the entries vote for your favorite promposal at the bottom. 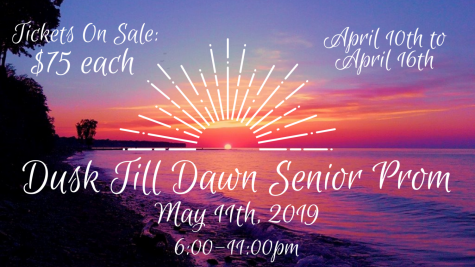 Voting will begin on April 10th at 8am and will end April 11th at 8 pm. There is no limit to how many votes you can cast or receive so encourage your friends and family to vote as well! 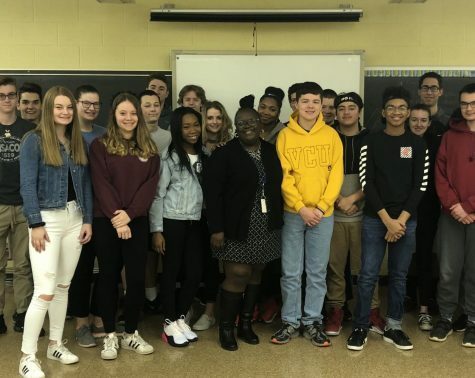 The winner will be announced April 12th on the Morning Show. 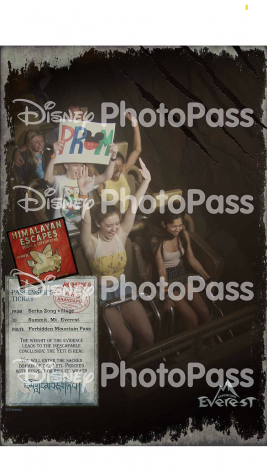 I wanted to ask Alayna to prom in a special way, and what’s a better way than asking in Disney? 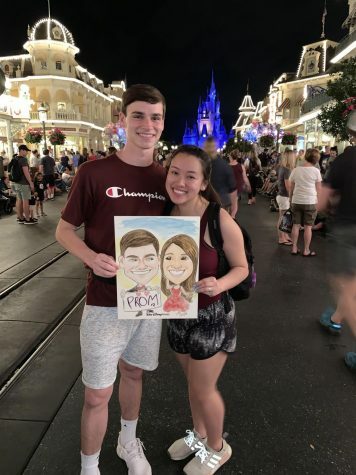 I wanted to make her feel special and surprised at the same time so this was the perfect way to do it, Hopefully I made her experience at the most magical place on earth special! 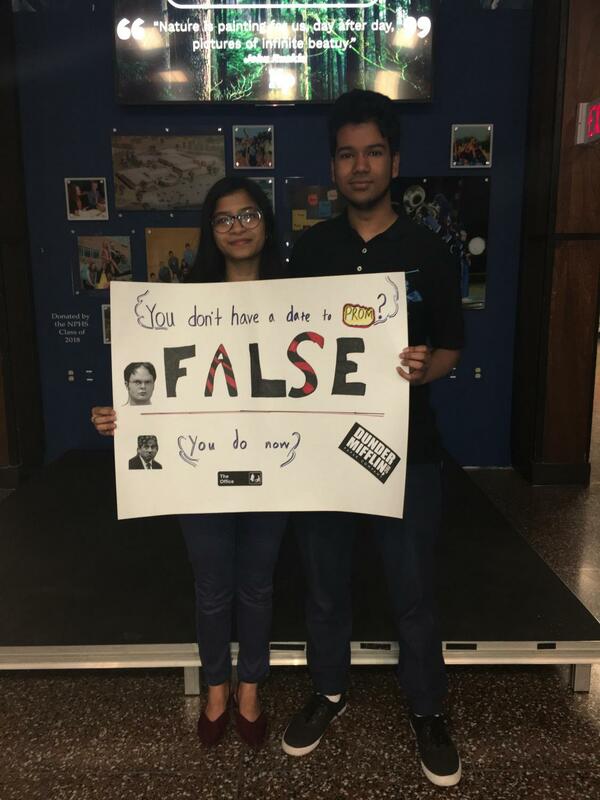 My prom posal consists of a joke from the office. 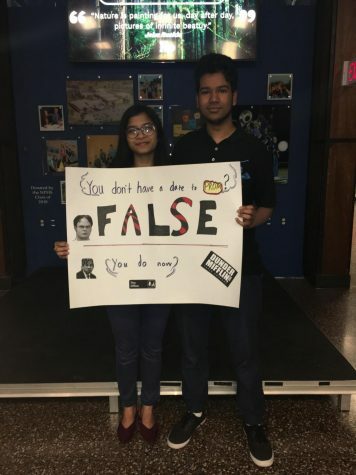 One of the main characters, Dwight, is known to say “FALSE!” at almost every situation. Fayeeza Tarannum loves the show, so this worked out great. In addition, both of our birthday’s are this month. It would mean a lot and act as a great birthday gift if we won this contest! I wanted to ask my friend Grace to prom in Disney but I didn’t want to do it like a lot of people had before like with a poster, so I made a shirt instead. 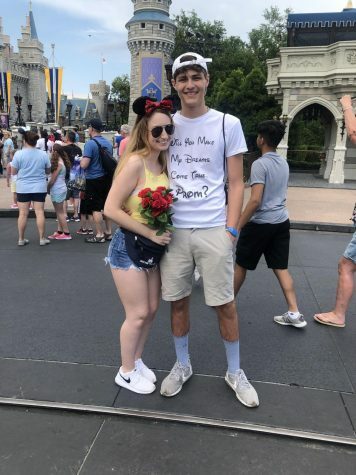 So I wore it under another shirt and when we were passing the castle in magic kingdom I quickly took off the other shirt and grabbed the flowers I got and asked her in front of the castle. For my promposal to Megan Poley, I decided to use one of our favorite inside jokes. We double over in laughter at the “Grape lady Falls” video every time we hear it. So, naturally, I decided to get creative and make some puns to surprise her. 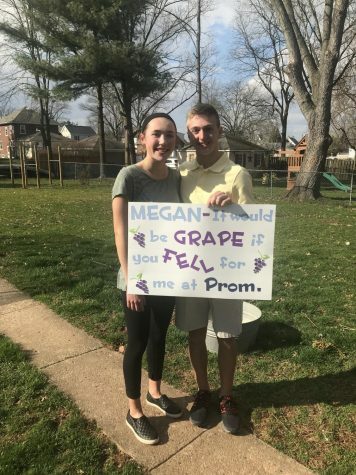 Sadly, I did not fall out of the bucket, but she very happily accepted my invitation to fall for me at prom. We’ve been dating for over a year now and we’ve already been to two proms together- my junior prom and his senior prom both last year. 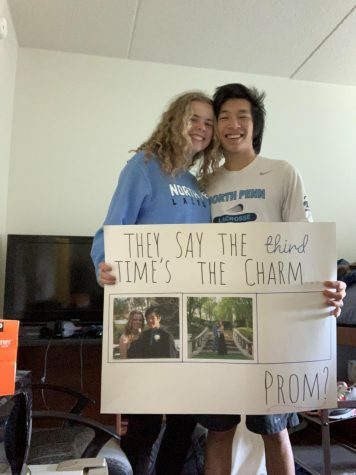 I surprised him at West Chester, where he goes to college, with this poster! We’ve been dating for over a year now and we go to the same diner almost every weekend and order the same thing from the menu each time. 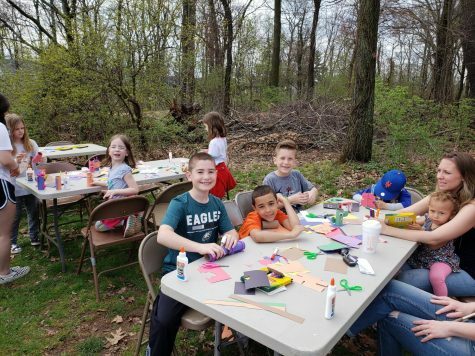 It’s our favorite place! Today, I took him and had the staff put together a little surprise on the specials board. He said yes! You can’t spell “Minnie” without Min. 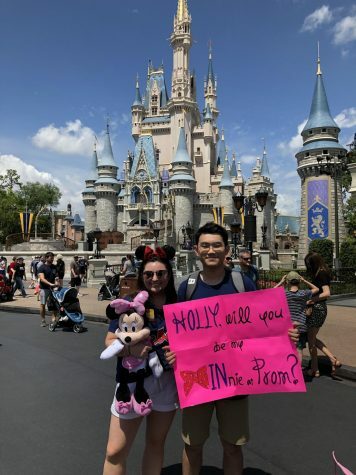 To make my senior year special and memorable, I decided to prompose to Holly in front of Cinderella’s castle during the senior Disney trip. While I was struggling with making a pickup line, my friend Veronica Leite helped me to come up with this line: “Holly, will you be my MINnie at Prom?” And luckily, she said yes! 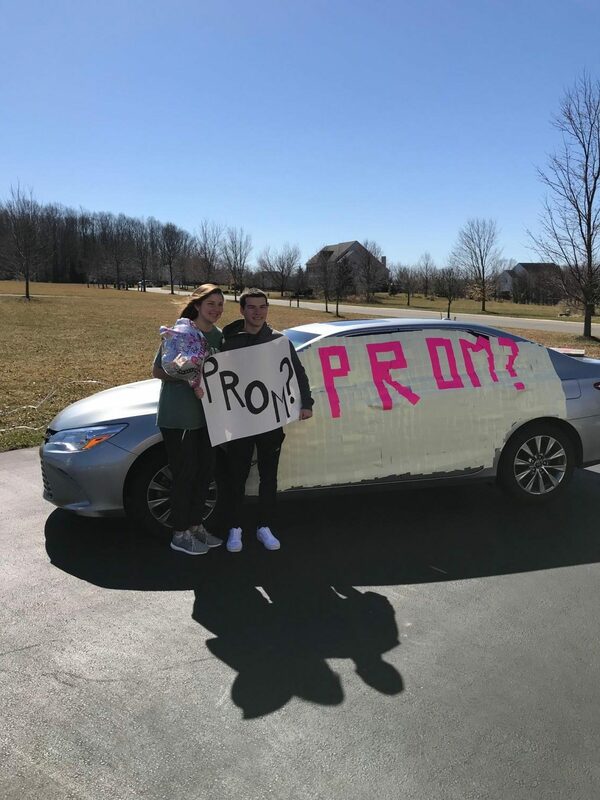 I covered her car, surprised her, and put post it notes all over the car and filled it with balloons that said “prom?” on them. 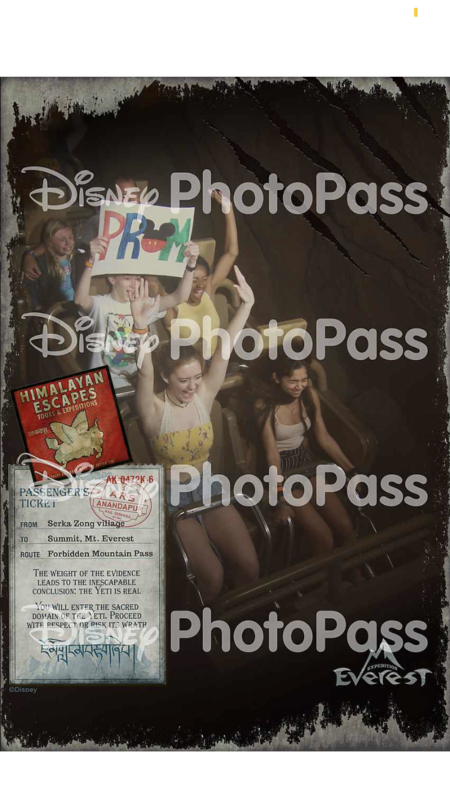 I promposed with a sign saying “Hey! Wanna Be FRIENDS @ PROM?” The idea car from me actually recommending the show to Brooke and then her love thereafter for the show so the Friends theme with the logo in the poster seemed nice and cool and also some white roses to add to it. 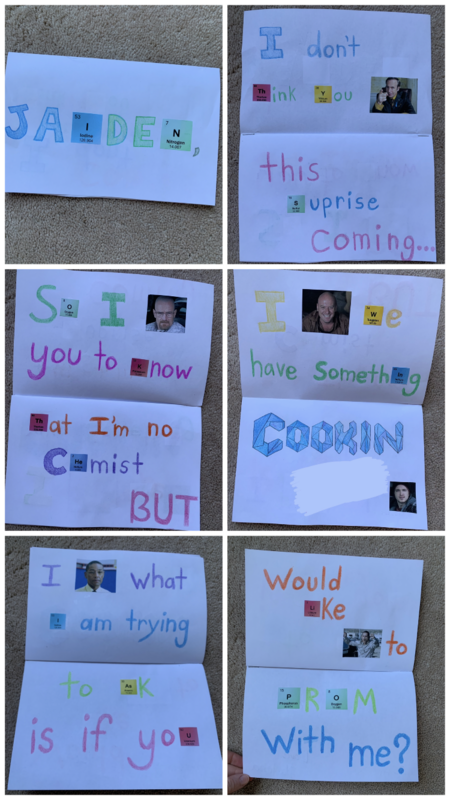 I asked my boyfriend Jaiden (who goes to Lasalle) using Breaking Bad references. He watched the show about a month ago and convinced me to watch it and we both loved it so much so I decided to ask him using the characters and the themes from the show. 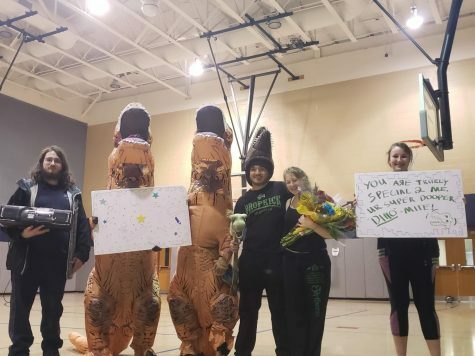 I did my promposal Friday March 29th. 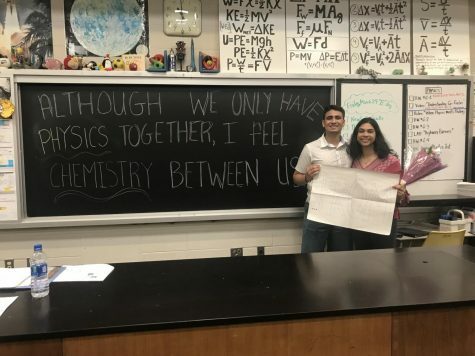 I wrote my line on the board and told my physics teacher to call for a volunteer and he would just pick Puja since she sits closer to the front of the room. In the mean time I pretended to go to the bathroom. I went to another class to get flowers a poster that says PROM and chocolates. And the rolls the board to the side and reads the board and I walk in with flowers and chocolate with the sign. 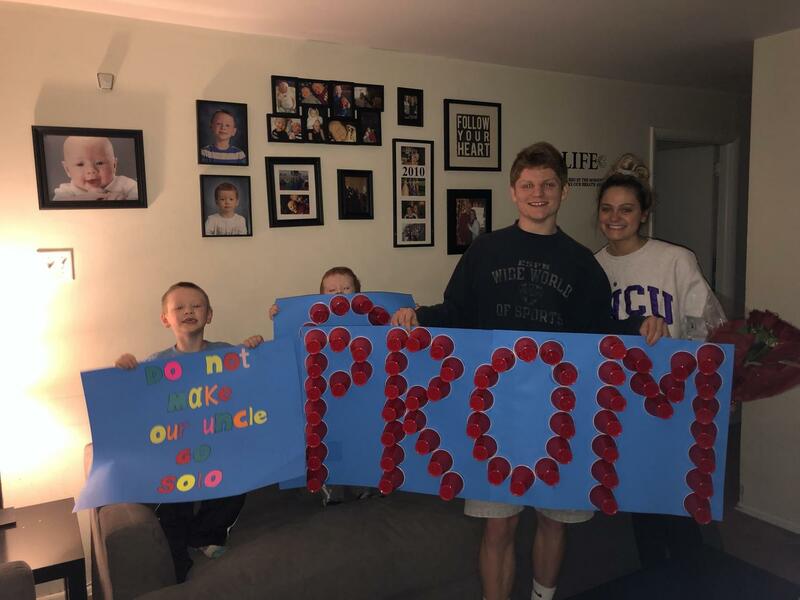 I thought I was going over to babysit when Pat surprised me, he had his nephews help ask me with a sign that said “do not let our uncle go solo” and asked me with a sign made of solo cups! 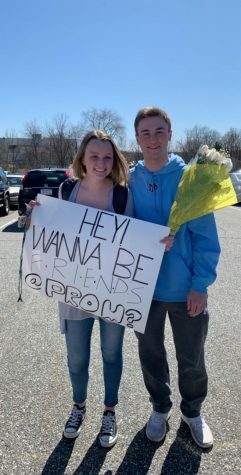 I asked my best friend, Lewis Edwards to senior Prom. It took four days of planning between his mom, his sister, and myself to make sure this worked! 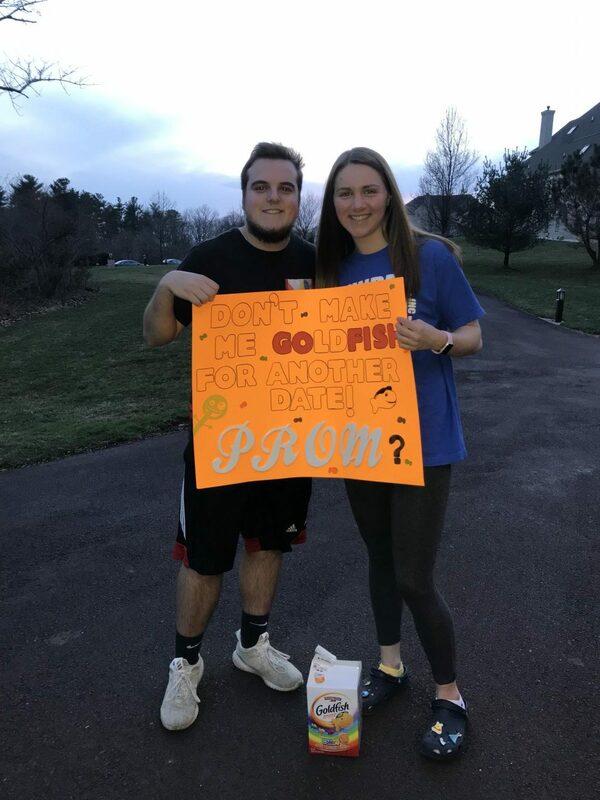 Brandon took me out to get ice cream (my favorite food) and then after we were done he went to his car and pulled out the poster and goldfish! Fran promposed at my first dance competition of the year! He organized the whole event with my dance teachers and even emailed the competition director to get it approved! 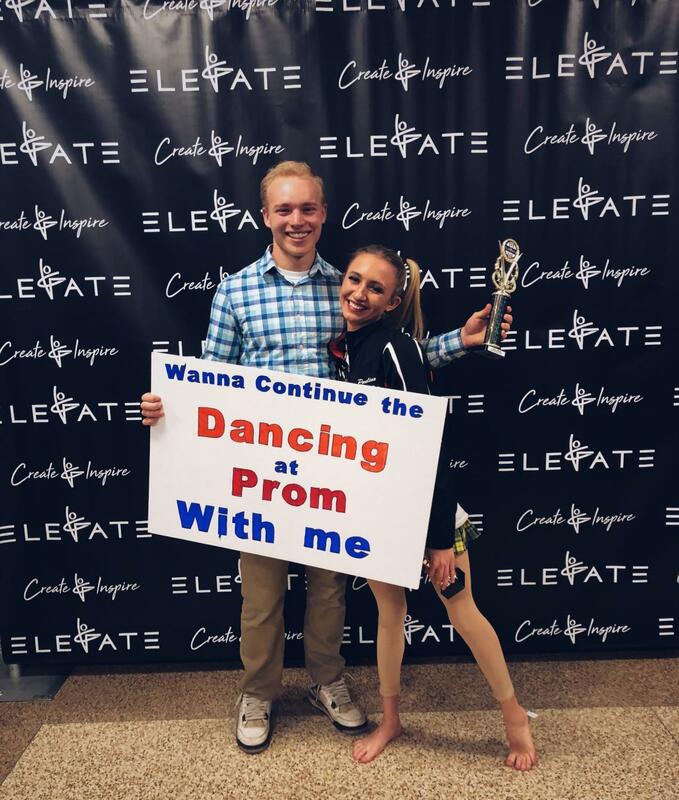 He surprised me during the awards ceremony and came out on stage with a sign in front of the full auditorium! Best surprise ever everyone loved it! We went to the mall, and I had to run to the car to grab her water bottle. 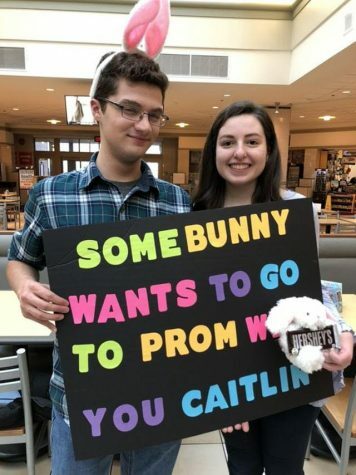 I came back with a poster, plush bunny with chocolate, and bunny ears and I asked her. She said yes and the people in the food court clapped. I loveeee ethan and Lans promposal!! So cute!! 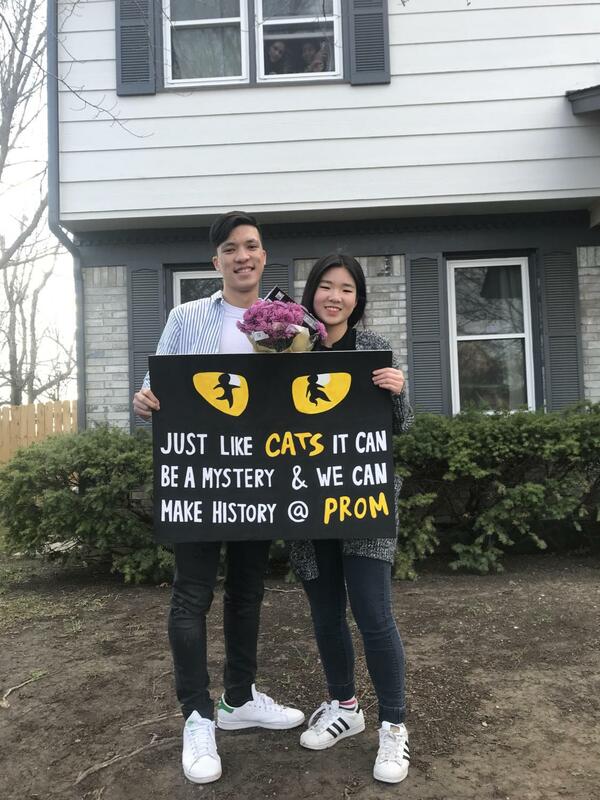 The thoughtful and fun approach Ethan made to present his promposal to Lan in their face art characteristics is a cherished memory. I sent in a Promposal to the email and mine isn’t shown here? Give them free prom tickets ! Or give them all free prom tickets …!! The cutest thing about it was that it was announced as an award titled ‘dance the night away. 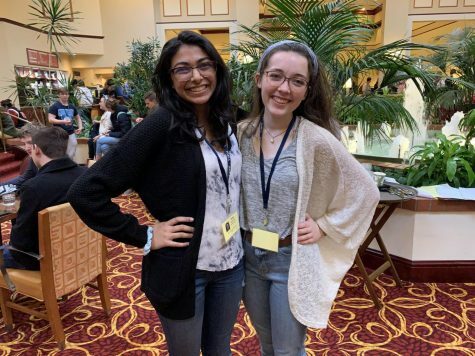 Paulina was called out by the Competition director to receive this award and then Fran came up with the poster and asked her on the stage. It was very entertaining far all. It was sentimental and well thought out! Loved the creativity she had! It’s adorable that he got her best friends to join in and that he incorporated an inside joke. Awe, Good luck and congratulations. Great idea with nephews helping. Liz and Patrick for the win! 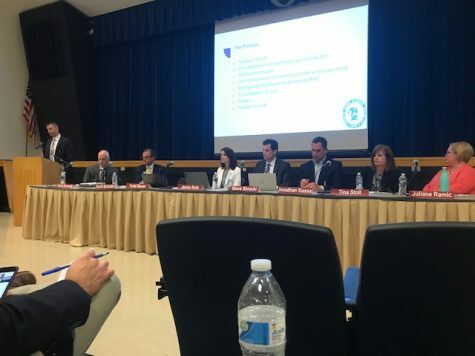 This is so dumb, it should only be north penn students allowed to vote and they should only be allowed to vote one time, like how prom king and queen are chosen on google forms or something. 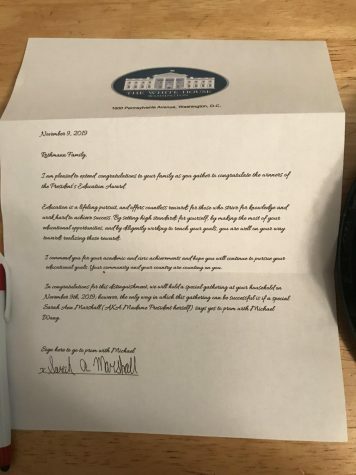 To bad Maddie’s proposal is actually really good and she has friends and tons of relatives all voting for her and they are sharing the page so their friends can vote too. 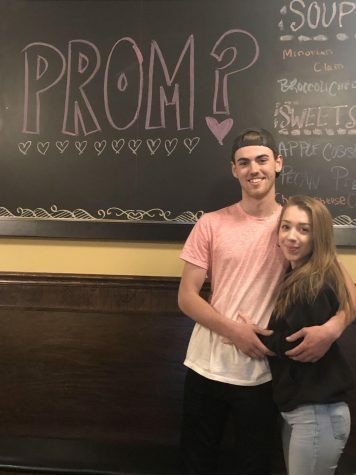 It would be better to set a requirement of three choices per entry for their top prom proposals and allow people to only vote once from each device/ip location. That way it would lessen out the bias of people voting for themselves or their friends and needing to constantly be on the phone. I really enjoyed seeing all the promposal some were very creative! Loved the caricature Ethan !!!!! Madisen and Tim for the win! Very cute and it’ll always be a special memory they’ll have to look back on in the future, while going to the same spot as they grow old together! 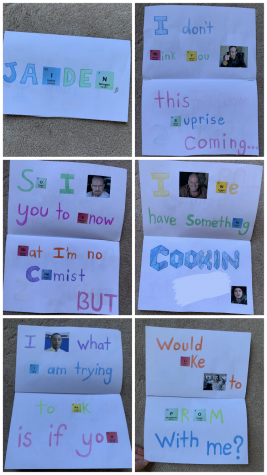 I am not Chemist but a HUGE Breaking Bad Fan…. 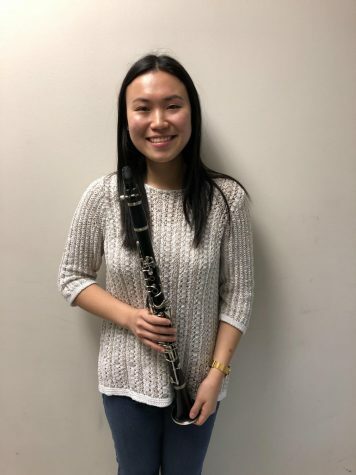 Great Job Marlena!!! YOu really should only be able to vote once a day or something… really not a fair race when you spend so much time on your phone when you should be paying attention to school work!!! Bummer…. maybe you can fix that next year because most don’t have a chance with a 7,000 gap! Alayna and Michael are the cutest! 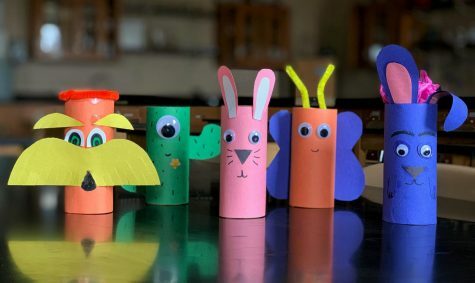 Go ahead kids— get first!! Pat youre doing great sweetie have fun at prom with your FREE TICKETS since you got MORE VOTES than everyone else. Hey Walter it’s actually really easy to imput 5-15 votes in a minute. Its 5-15 people who love our girl and are supporting her! Fran’s promposal is my favorite. He went out of his way to organize it. Got other people involved and did it in front of hundreds of people. You can’t top that!!! However, I found also Ethan’s and Darsh’ ideas very creative and worth mentioning among the most interesting pomposals. The most important thing is you guys all had fun doing it, and it is your memory to keep forever. Whether you win this or not you will all have a blast at your prom. 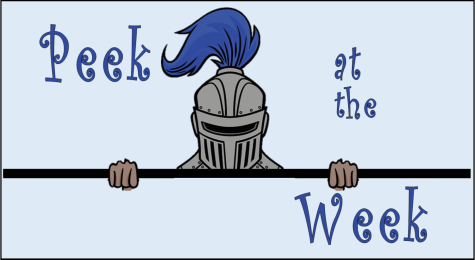 Congratulations to all for submitting your promposal and having fun with it. Good Luck with your futures! Have fun with it, just like with those promposals. Hey Jane yeah right at 1:30 am in the morning. 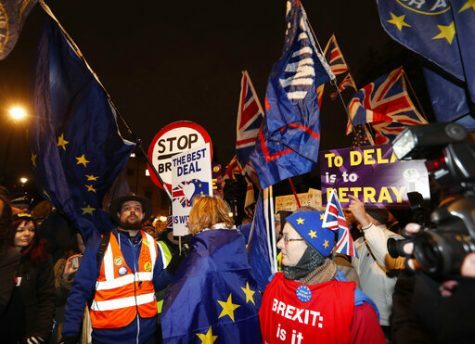 Research online voting irregularities. The need for security protocols without online voting is a shame. However, this isn’t anything serious. It’s not like we are voting for a politician. My favorite promposal is Fran’s. He truly went out of his way to make it happen. He got other people involved and he asked on stage in front of hundreds of people. You can’t top that!!! I found also Ethan’s and Darsh’ promposals very creative. Congratulations to all who entered. You had fun with it and made a memory that will be yours to cherish. I’m sure you will all have a fantastic time @ your prom and good luck in your future undertakings. Again, congrats to all ! OMG PAT CLEVER IDEA!!! Glad that you won, you guys are so cuteeeeee. I told all my friends at work to vote !